Choose our compatible HP PageWide Enterprise color 556xh ink cartridges and get the same high-quality prints that you would expect from original HP inks. 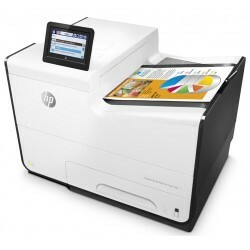 These products are designed for full compatibility with your HP printer, providing a hassle-free printing experience. Our ink cartridges for HP PageWide Enterprise color 556xh printers must pass our quality control process before being approved for sale. This process ensures our products will work seamlessly with your HP printer to create high-quality printouts. We believe in our products. Our extensive testing and quality assurance allow us to offer a 1-year warranty on every product we carry. Our dedication to our customers drives us to offer a 100% satisfaction guarantee with every purchase. Our 18 years of experience and expertise allow us to offer lifetime customer support on every order.